What changes has Israel implemented that are leading Hamas to reject Qatari payments? What does Israel hope to accomplish by these new regulations and what do Hamas’ actions tell us? I think that a lot of Hamas’ reaction has to do with how public the issue became. In general, you have to be careful about how much to read into their public statements as, very often, once the facts are checked, the reality is not the way Hamas’ statements presented it. 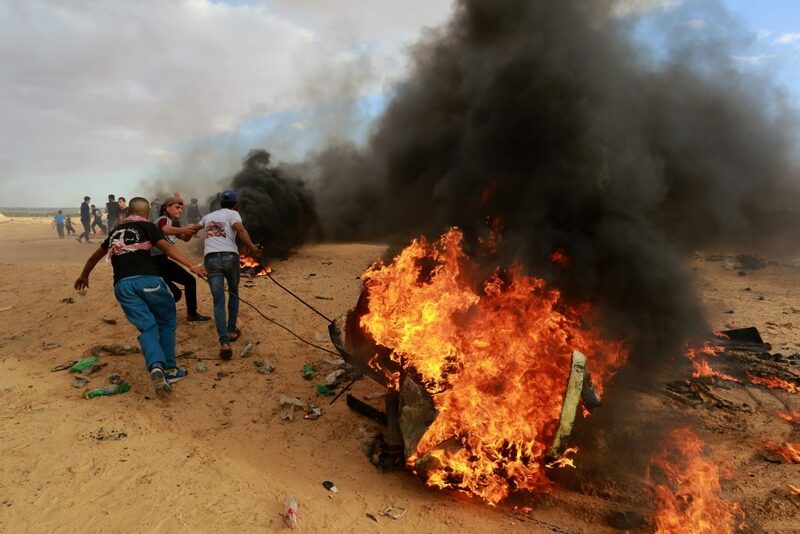 Before Hamas made their statements, the PA said that they would no longer accept money from the U.S. as a protest over the effects of the Taylor Force Act and other cutbacks and as a way of showing their general anger with the administration and Congress. Once the PA made this “moral” statement, and after the Israelis held up the money from Qatar in the wake of the escalating violence at the Friday riots at the Gaza border, perhaps Hamas felt that they had to match what the PA had done towards America, to try to stand up for their integrity and at least to give the impression that they can survive without foreign aid. The funding Qatar sends is earmarked to pay the salaries of civil servants in Gaza who have not been fully paid for some time, and now Hamas is basically playing politics on their backs, continually exploiting the people of Gaza for their extremist ends. We will have to see if the workers themselves are willing to stand up to the leaders there and put pressure on them to accept the money. I believe they will yield. Hamas would like to prove that they can function independently, but they know that it is not really possible. The only way they can do without these funds in the long term is if Iran supplements them and as they are having their own economic problems I am not sure they are in a position to send multiple $15 million payments to Gaza each year. Iran already pays about $50 million to send weapons and the like to Gaza, but Iran has been having trouble finding customers for their crude oil exports and is in an economic crisis overall, so I doubt they are able to take on a much larger budget for Hamas. In terms of Israel’s goals, this is not something new, but rather part of an ongoing effort to control foreign aid to Gaza and to make sure that it is being used for the civil service and humanitarian purposes for which it is intended. The fact is that even though Qatar’s funding is earmarked for civil servant salaries, it is always fungible. Israel initially held up the funds in an attempt to quell violence on the border, but the fact is that Israel is vested and committed to seeing that the funds are delivered and that they go to the intended parties and avoid a complete collapse. These and other foreign funds are needed to prevent the situation in Gaza from becoming even more unstable, and propping up the government there, even if run by a terror organization, is unfortunately something that is necessary for maintaining some level of stability for now. There were many in the Knesset who objected, but the security cabinet voted to approve the transfer, taking the responsibility of these funds alone. Israel’s strikes in Syria have garnered a great deal of attention and were criticized by Russia. What is the goal of these strikes and do you fear they could lead to an escalation of tensions with Iran? The first issue is why is what would usually be a clandestine operation being carried out in such a public manner? Why are Israeli officials probably acknowledging the specific details? Secondly, why did the raids intensify? I think there are a few answers to that. First, Israel cannot allow Iran to establish a permanent military infrastructure within Syria or Lebanon that could be used as a base for attacks against Israel. They are already developing operation bases that could be used for cross border raids to Israel and a highly developed supply route as well as factories to develop precision guidance systems for missiles. The missile factory in the Beirut airport was closed down, presumably after Israel identified it; at least one other is still operational in Syria. One of the targets Israel hit in Syria was a large weapons depot with missiles, which shows you the nature of some of the threats they are trying to minimize. Russia’s warning statement was little more than a perfunctory protest on behalf of their Syrian ally. The most important reason why I believe Israel is going public with its operations in Syria is to send a message that even if the U.S. does pull out, the IDF will continue to act anytime its red lines are crossed and a real security threat is posed. Iran’s presence on Israel’s borders keeps growing. They fly directly in and out of Beirut and have multiple land routes around the region. Their goal is to build a 100,000 strong Shiite militia in Syria that will be under IRGC [Islamic Revolutionary Guard Corps] command. Iran’s commander General Soleimani was in Syria the day before the bombing took place. The purpose was to destroy a missile delivery system, but his presence might have also been connected to the timing. He and other Iranians are encroaching on the 50 kilometer zone beyond Israel’s Golan border that was part of the U.S.-Russian-Israeli understanding. This is yet another reason I believe Israel is publicizing this campaign. Some have said that it has to do with the upcoming elections or General Eizenkot’s retirement, but I am not that cynical But, I think the truth is that Israel wants these strikes to send a clear message to the Iranian government and people about the cost of their engagement there. Some believe Soleimani has not been telling his superiors in Tehran the truth and this is a clear record of the losses Iran is enduring by continuing its operations in Syria. It is also important to try and push Syria to rein in Iran, which seems to operate without restriction. Iran is taking over the area from Damascus to the Lebanese border. Removing Sunni residents, moving Shiites in. They took over the mosques and schools and are building housing developments. They plan to stay, or at lease be in a key position to determine the future of Syria. For Israel, deterrence is critical and especially in the Middle East, symbolism plays a vital role. It is important that Israel gets its message across loud and clear that it is ready to act to defend its security interests. The Trump administration seems to have slowed its plans for a pullout of Syria. Do the statements that have been made assuage the fears you expressed on this matter the last time we spoke? Unfortunately, it falls far short of what I would like to see happening. I am concerned over the withdrawal but even more so about the message it sends. As I said before, symbolism is an extremely important element of how Arab culture looks at the world, so more important than the loss of the 2,000 troops on the ground is a perceived message of American disinterest that the pullout sends. It is helpful that the administration committed to remain in Syria until ISIS is defeated, but Iran’s presence will remain and continue growing. Even if the U.S. Air Force’s presence will still be available, I think there is much more to be accomplished on the ground in Syria. This is especially true as we see the designs of Russia, Iran, and Turkey in the country. There are not nations that have common interests, but have united against the United States. Leaving a void of American presence and strength in such a volatile area is cause for concern. ISIS is still not eliminated and will likely turn back to guerrilla warfare. UNIFIL was denied access to a Hezbollah tunnel. What does this tell us about the group’s power and effectiveness in the region? Their lack of effectiveness has been clear for a long time, given the flow of weapons to Hezbollah which they are officially there to prevent. 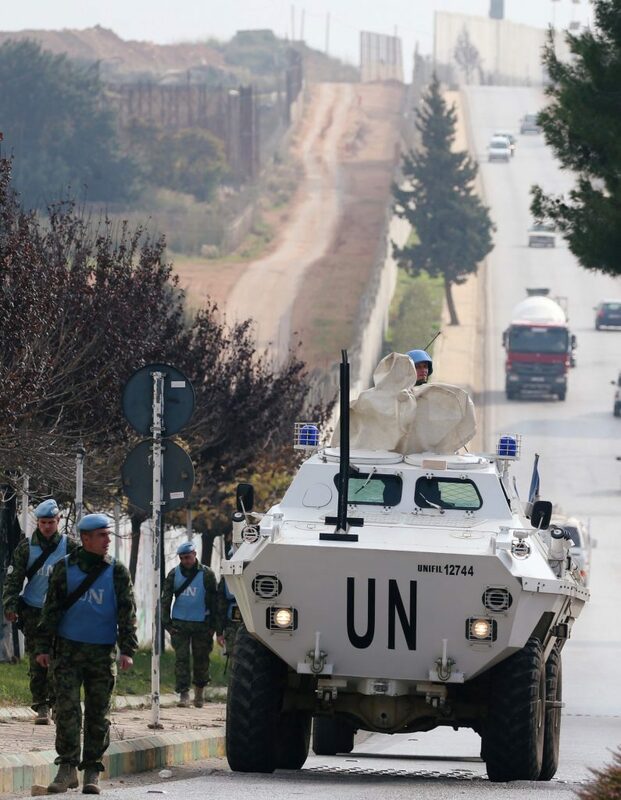 UNIFIL’s presence has not deterred Hezbollah’s growth or the construction of a large and complex network of terror tunnels which has been going on for a decade. Israel destroyed six of the tunnels that reached across the border by filling them with explosives and cement, but several that are still only on the Lebanese side remain. If you visit the border where the UNIFIL camps are, which I have several times, you hardly see any movement. They sit there doing very little while Hezbollah arms itself, which is quite ridiculous. They have not lived up to their mandate to uphold U.N. resolutions in the region, and the price for their inaction keeps getting higher. Rashida Tlaib and Ilhan Omar have continued to be the focus of virulent anti-Israel and what some feel are anti-Semitic statements even now that they are members of the House. While statements were mostly called out by the leaders, the two have won powerful committee appointments. Do you feel Democratic leaders have acted appropriately and what do you think their presence in the caucus tells us about the direction of the party? Basically, everyone who is elected gets some nominal committee assignment, but the idea of Rep. Omar on the Foreign Relations Committee certainly does not make me comfortable. The fact that the committee’s chair is Elliot Engel, who is an outspoken pro-Israel voice in Congress, is sometimes reassuring. One member said that they will be looking to Omar for her views on Africa because of her being of Somalian background and that she will not be on the Middle East Committee. But, even if that is so, she will use her position as a bully pulpit to continue spewing anti-Israel rhetoric as we have already seen. Tlaib has been the more vocal of the group of freshman members in terms of her pro-Palestinian positions, and moves like putting a paper that says “Palestine” over Israel on the map in her office during her swearing-in and her association with Farrakhan and other anti-Israel and anti-Semitic figures are troubling. We hope the leadership will act wisely and with determination. This group only represents a very small minority of the Democratic members of Congress. The overwhelming majority of its caucus have been very supportive of Israel. Some of those who won seats in the last election were improvements over the incumbents they replaced, from a pro-Israel perspective. It’s also noteworthy that all three won in what were fluke elections and were not backed by a majority of voters in their party. Ocasia-Cortez is only there because Thomas Crowley didn’t realize he had to campaign and she was able to galvanize a loyal following on social media who voted in a primary that in general had very low turnout. Tlaib ran in a crowded field where the more mainstream vote was divided or absent. But, I do worry that the sentiments that this outspoken group espouses will be like a cancer that can easily metastasize if not carefully held in check by the leadership and supporters. They are trying to mobilize young radical candidates for state and federal positions. Their success and popularity is something that concerns Democratic leaders and other minorities in public life as well who feel the extremist agenda of these individuals may be holding back the opportunities for other blacks and Hispanics to have a greater role in government. We already heard that Ocasio-Cortez is looking for a candidate to unseat Hakeem Jeffries, who is an intelligent and talented member of Congress in a key leadership position. It’s very concerning that since their elections, this group has been successful in rallying enthusiastic support among young people who see them as an anti-establishment protest voice without really exploring their positions. It is safe to assume that most of the voters that supported Omar and Tlaib do not even know what BDS is. One of the most disturbing aspects of the phenomenon around these two names and Ocasio-Cortez as well is that they don’t know anything about the facts, yet they get constant media coverage as if they are experts. In the meantime, it’s imperative to make clear that standing with Farrakhan will have the same sullying effect on one’s reputation as would an association with David Duke. Statements that cross the line have to be called out for what they are. For Omar to say that she doesn’t understand why saying that Israel “hypnotized” is offensive to Jews goes beyond the pale of what should be acceptable. Statements like these cannot be swept under the rug and their lies about their positions on BDS and other issues must be brought to the fore. They must be held to the same standard that Steve King was or that any other member of Congress would be and there cannot be a reticence to criticize their statements because they are Muslims, or members of other minority groups. They have a record of offensive statements and they must be held to the same standard. If not, all extremists see it as open season. Several reports noted that the ongoing “yellow vest” protests in France have seen a significant amount of anti-Semitic rhetoric and even some low-level incidents. While fears of anti-Jewish sentiments in the country have largely been focused on immigrant Muslim populations, this seems to imply that the problem is wider. What do you think this tells us about the state of anti-Semitism in French society today? It’s disturbing to see a demonstration over economic issues morph into increasing manifestations of anti-Semitism. It shows you how pervasive these sentiments are and how effective anti-Semites are at manipulating every situation to promote their message. In America, we’ve come to call this phenomenon intersectionality. We’ve seen it in how BDS found expression during the demonstrations in Ferguson and in the anti-Semitism expressed in the Women’s March, where Tamika Mallory continued to make hostile statements despite the controversy and resignations in protest of her anti-Semitic views. 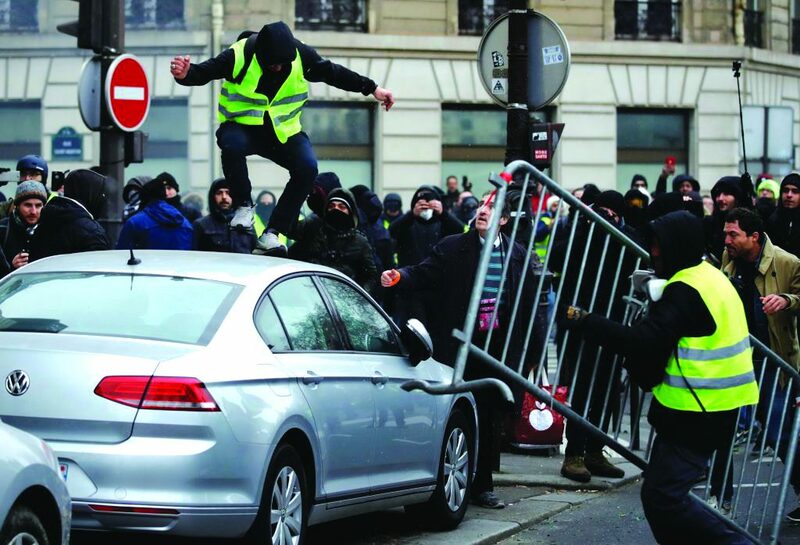 What we have seen in France is very similar and shows the level of hostility there toward Jews. A recent poll showed 40 percent of Jews in Western Europe were considering emigration. When I expressed my concerns about rising anti-Semitism to European Jewish leaders even 10 years ago, I was jumped on from all sides, but now many of them are saying that the Jewish people have a bleak future there. What bearing do you think the recent presidential controversy in Venezuela has on Iran’s presence in the county and how do you evaluate President Trump’s move to recognize the opposition candidate as the legitimate leader? We have to be very concerned about what goes on in Venezuela, firstly in terms of how it affects the safety and interests of the Jewish community there, which has dwindled greatly, but still exists. For decades, Venezuela was a South American outpost for Cuba and now it is serving a very similar function for Iran. Their footprint in the country and the region in general only grows. Throughout South America, Iran has some 50,000 agents serving various functions. Over the past two months, they deployed several ships from Iran’s navy to patrol the waters off Venezuela’s coast, presumably as a warning to the U.S. against any action in the Persian Gulf or against Iran. That they have a small navy and a five-month deployment near U.S. shipping lanes is important. Taking into account how much they are spending, it shows how committed they are to the region. 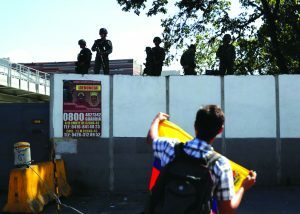 Now we also see an increasing Turkish presence in Venezuela and other parts of South America. They have an interest in Venezuela’s oil reserves, have built up terror training camps in the countryside — including several run by Hezbollah, and are profiting from drug routes there. Iran has been active in trying to spread Islam in the area and have been successful in converting many to Shiite Islam. Iran looks on Venezuela as a base from which it can fight the United States from a much closer base than Tehran. That being so, I think that the president’s efforts to delegitimize Maduro are very welcome and important for national security. As was Chavez before him, Maduro has been very friendly with Iran and very hostile to the U.S. and Israel.